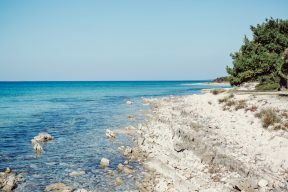 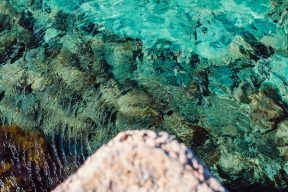 Croatia is such a gem, with beautiful turquoise waters, incredible scenery and lush parks, as well as stunning coastline and beaches. 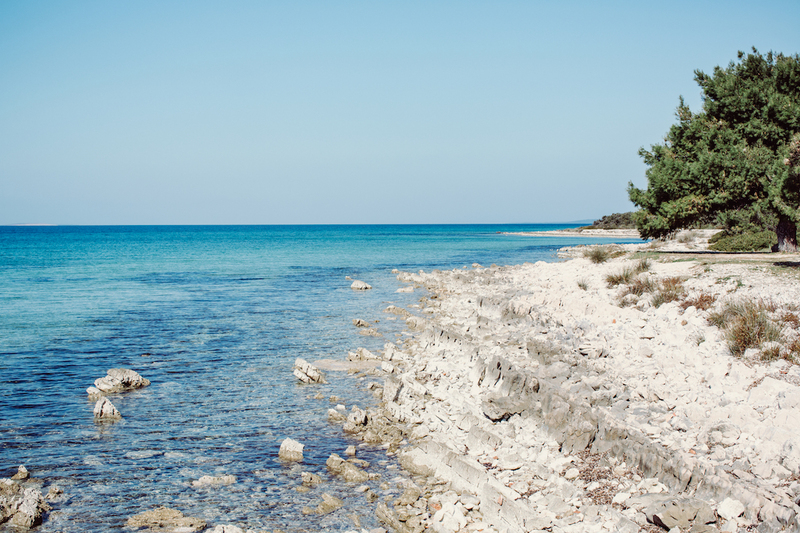 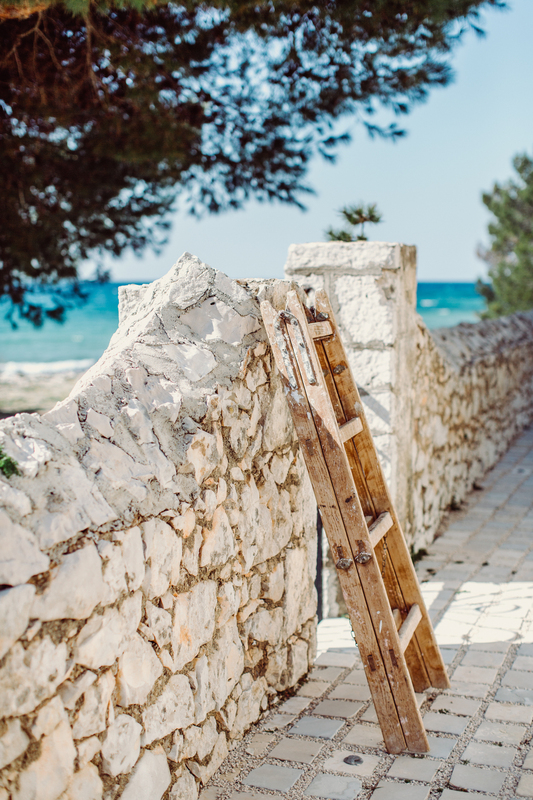 It’s no wonder that so many couples are choosing Croatia for their destination wedding! 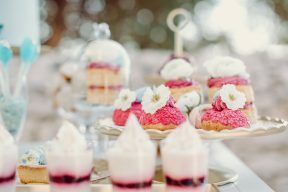 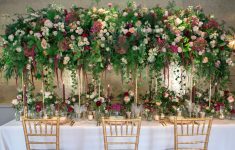 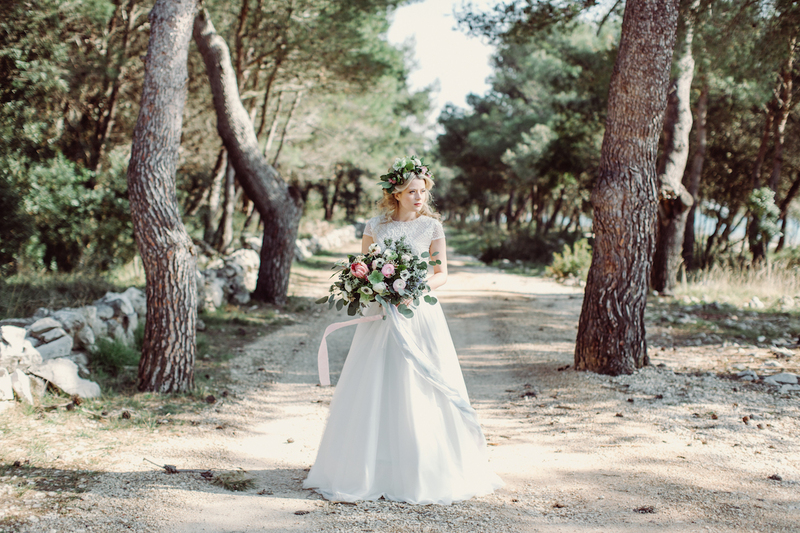 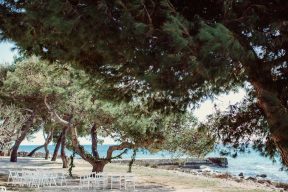 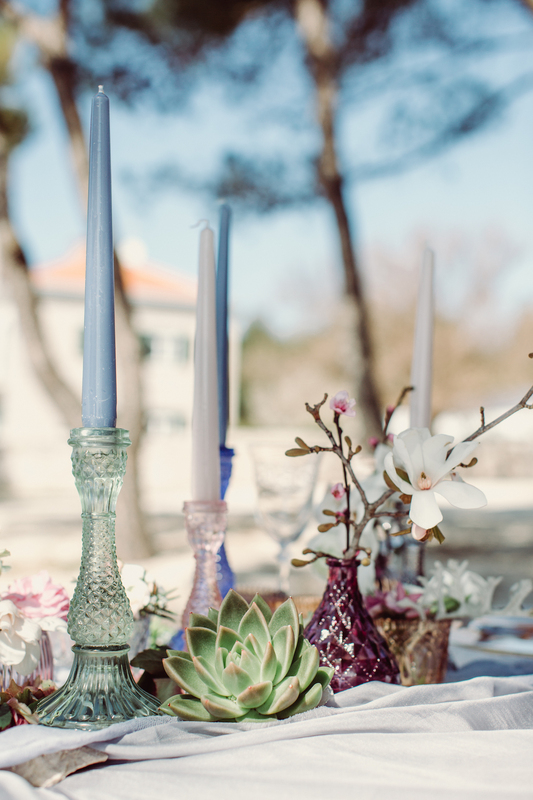 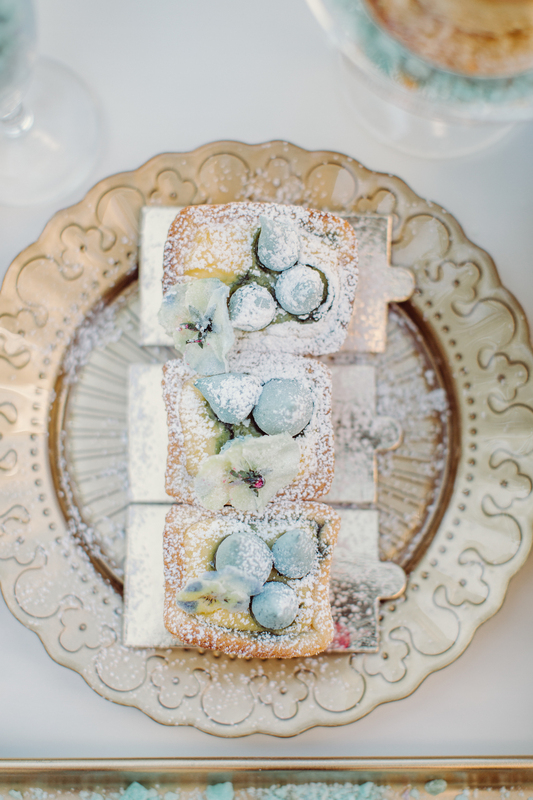 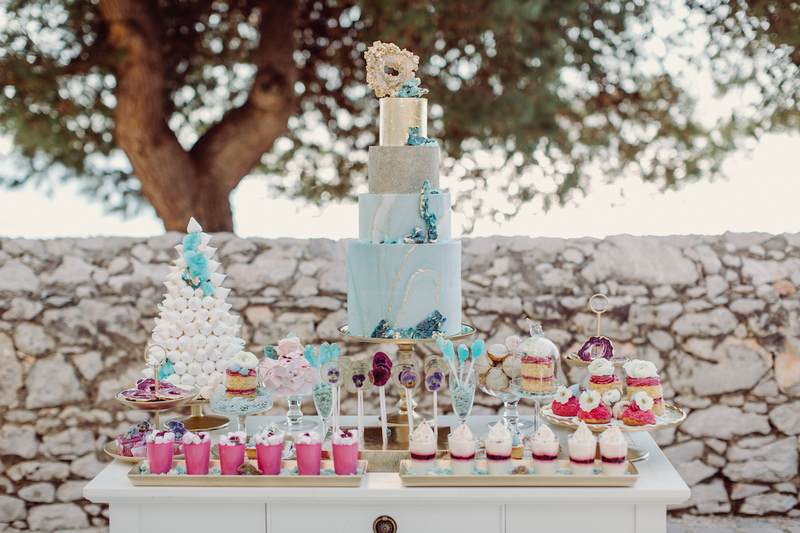 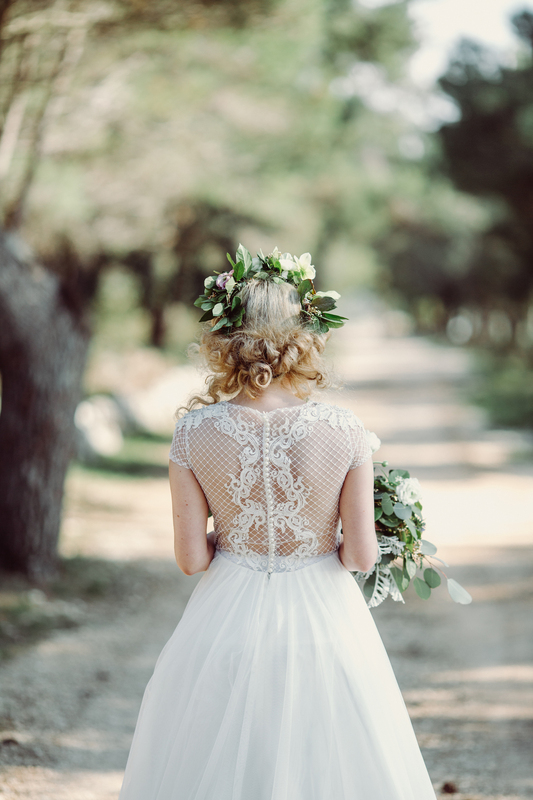 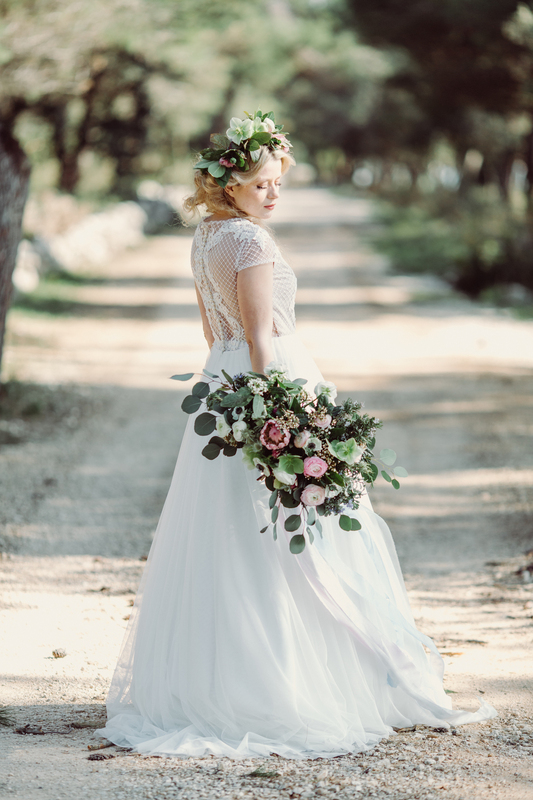 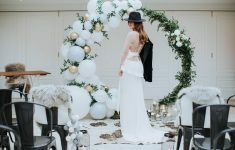 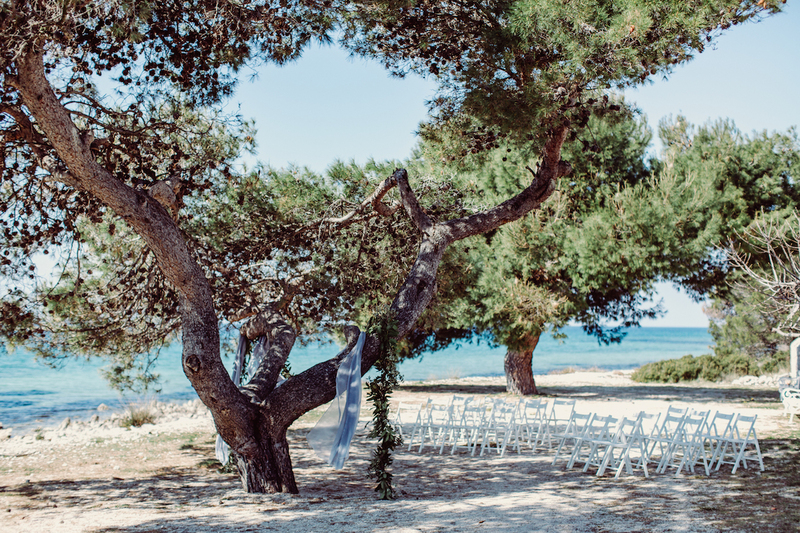 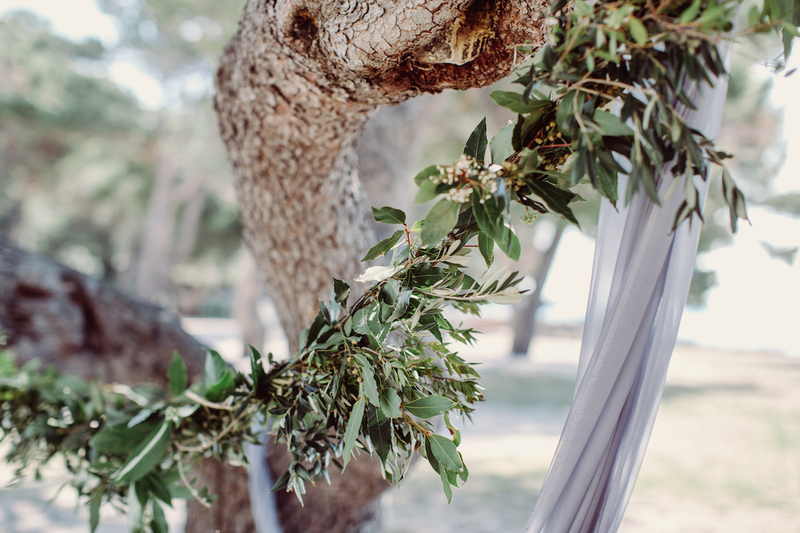 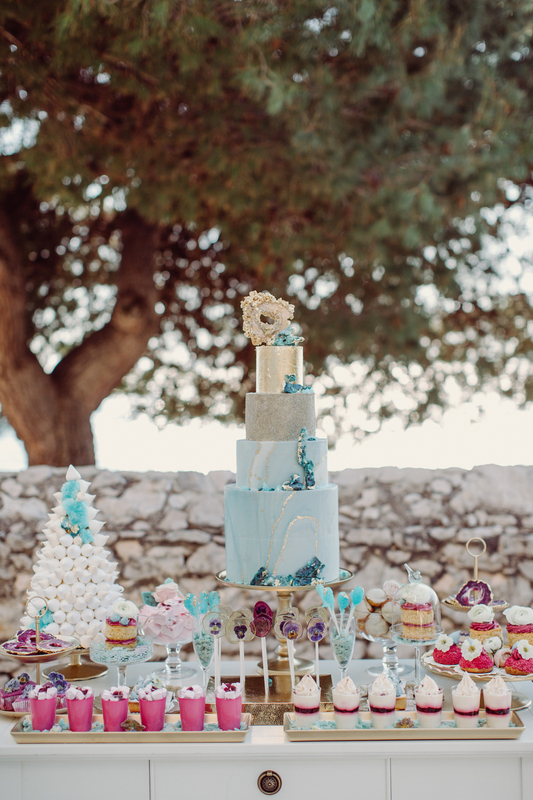 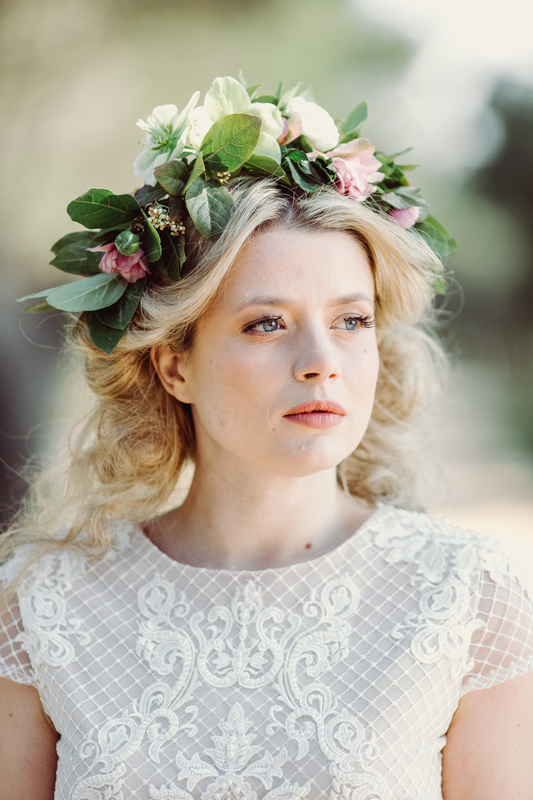 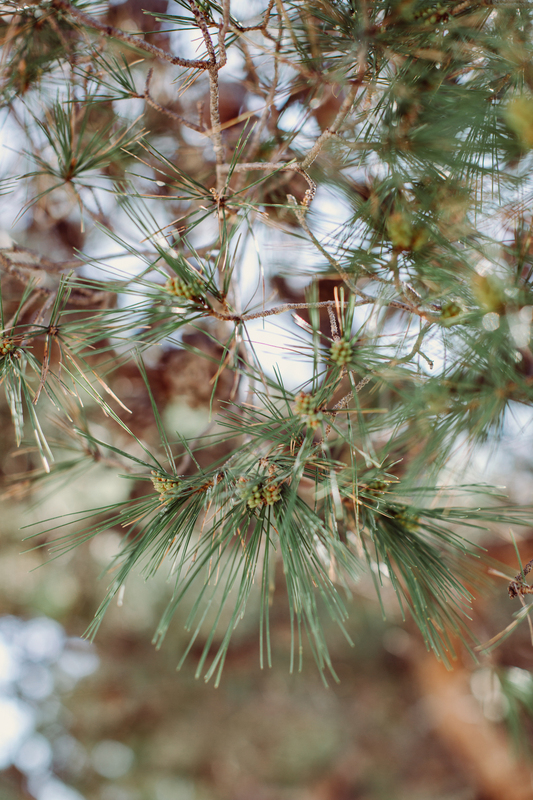 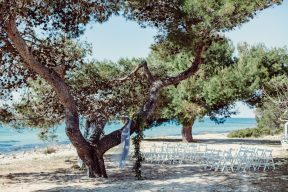 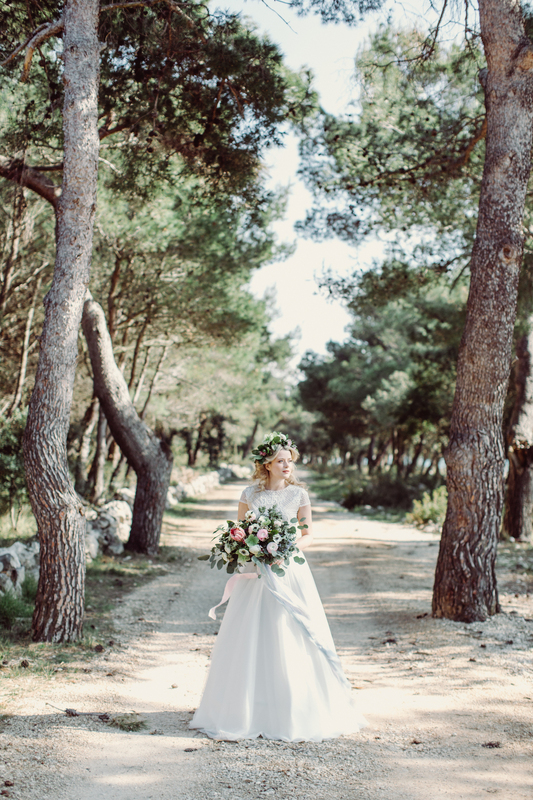 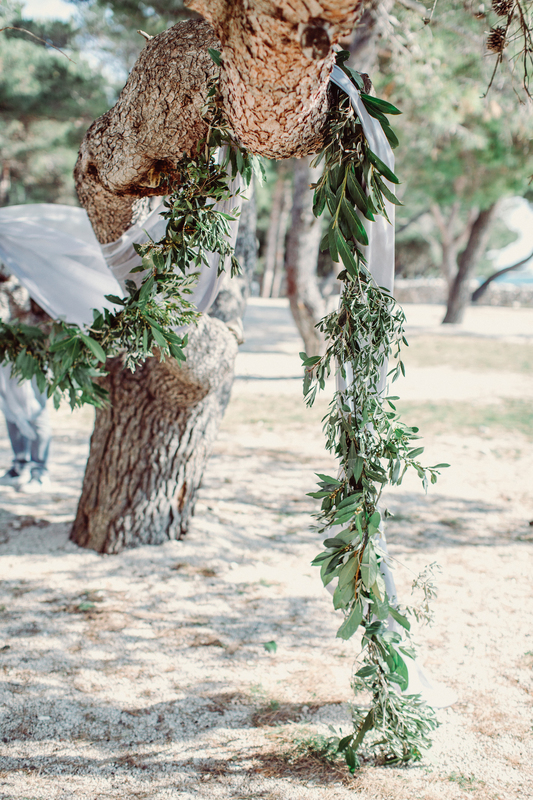 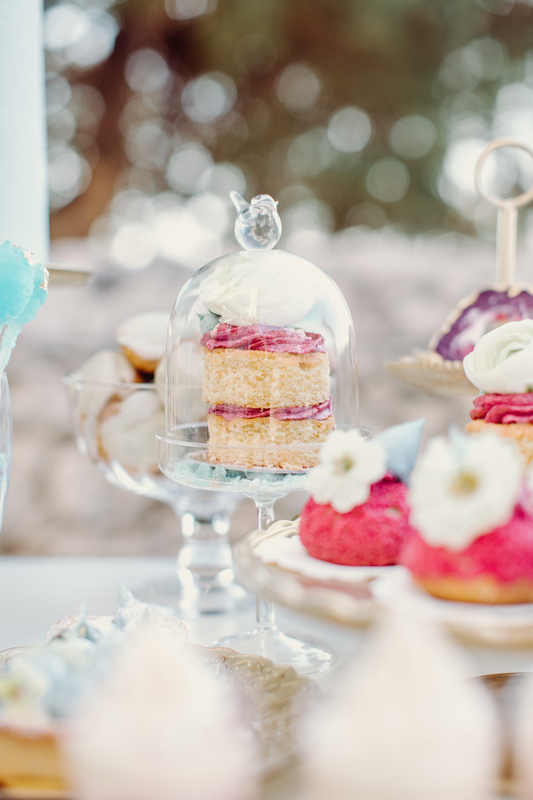 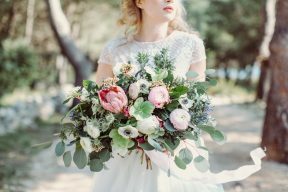 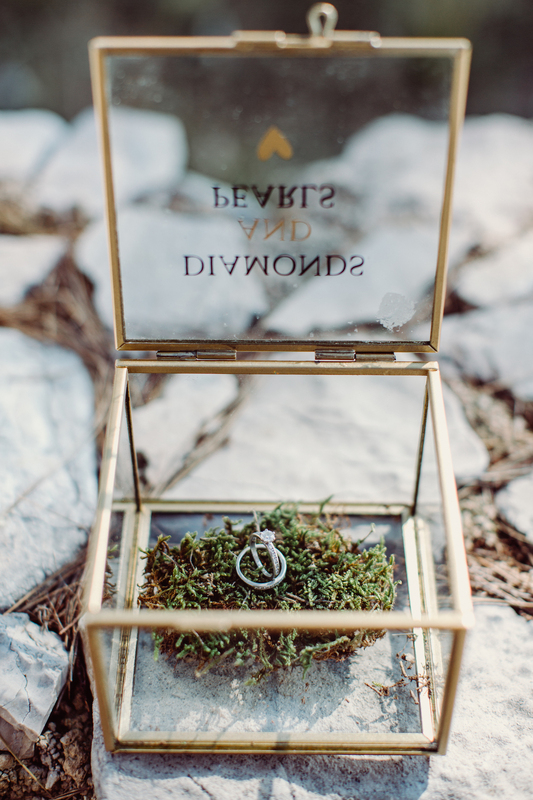 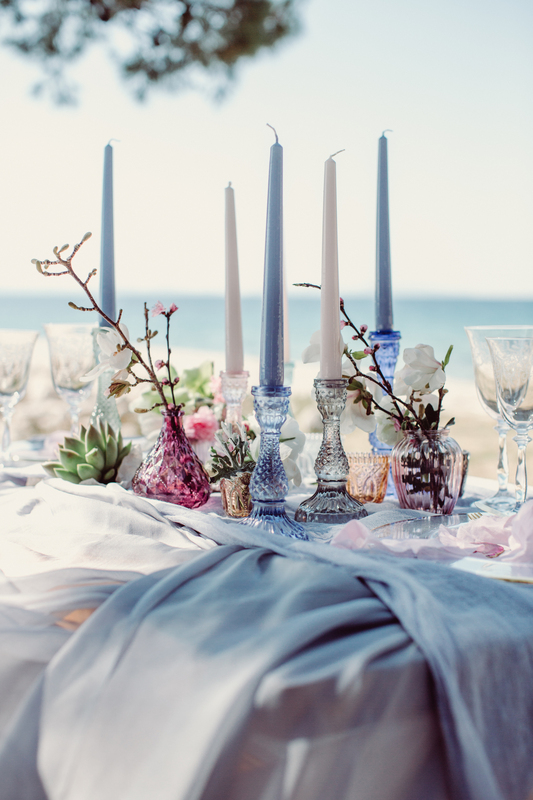 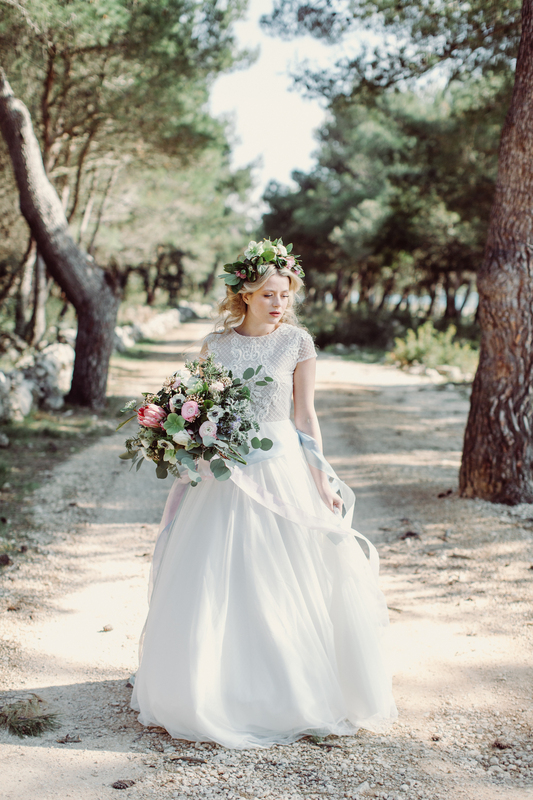 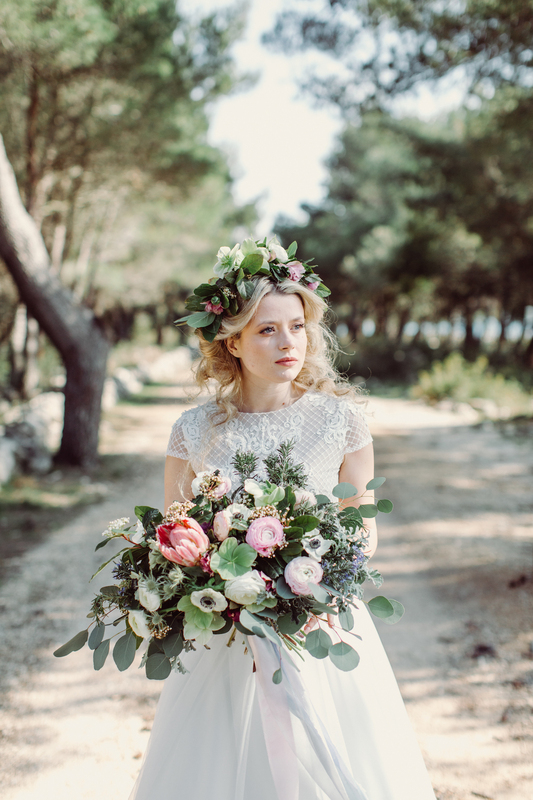 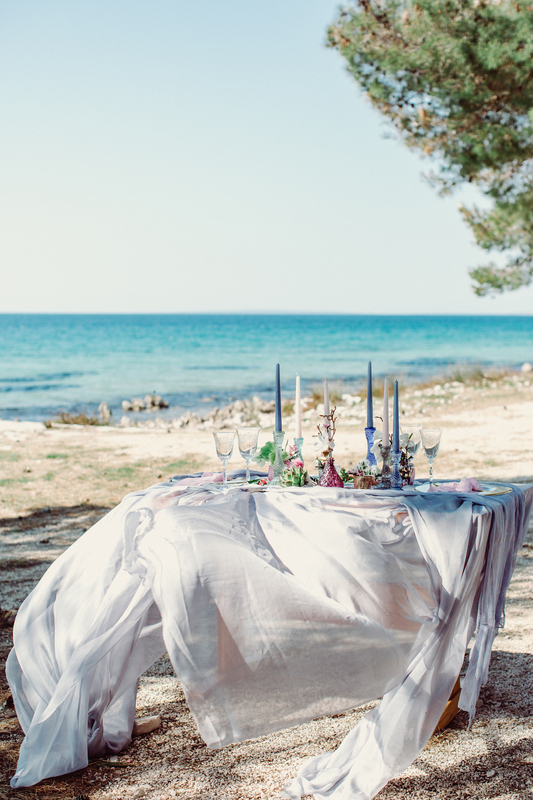 Tamara of Adriatic Weddings Croatia teamed up with Forever Photography Studio to create this wonderful inspiration for a wedding set under the charming pine trees which overlook the crystal blue ocean! 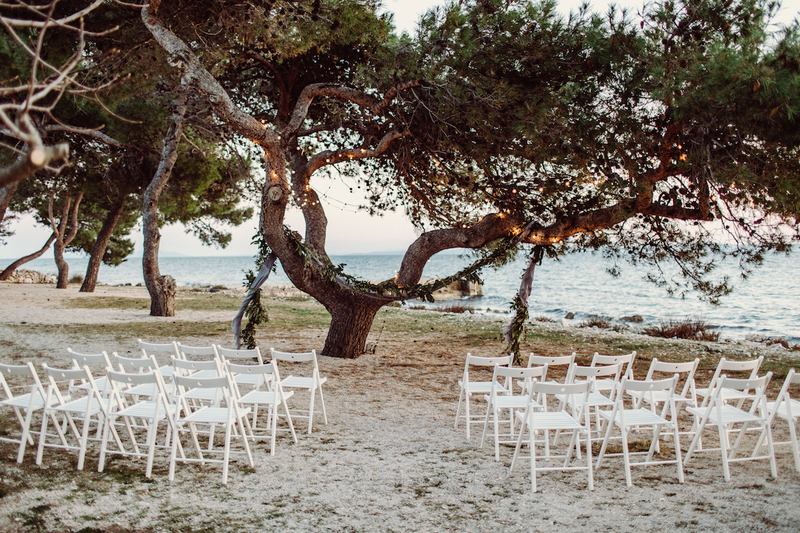 What an epic setting! 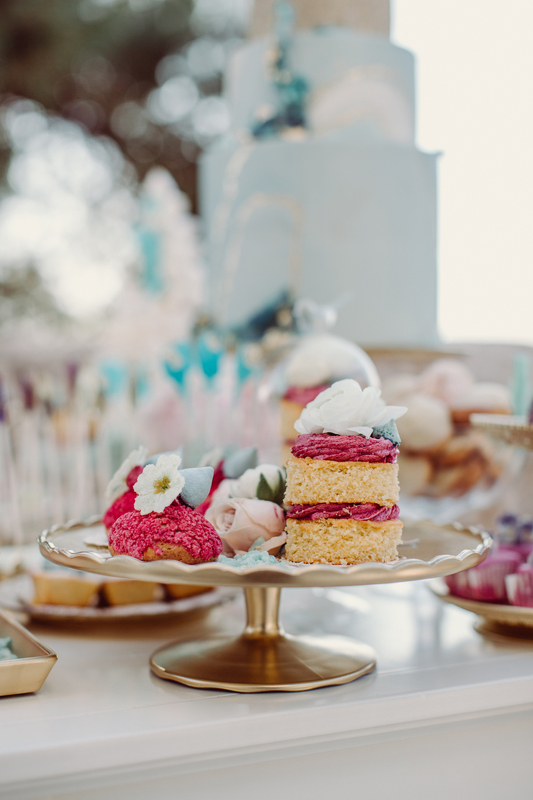 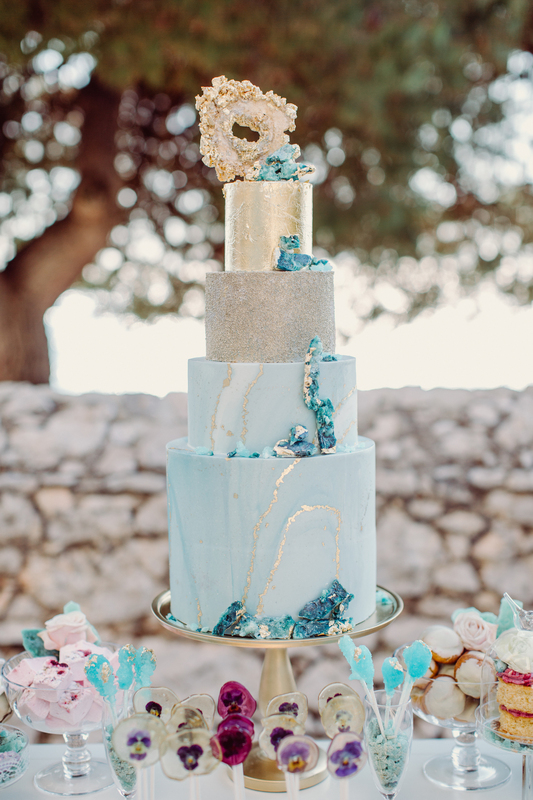 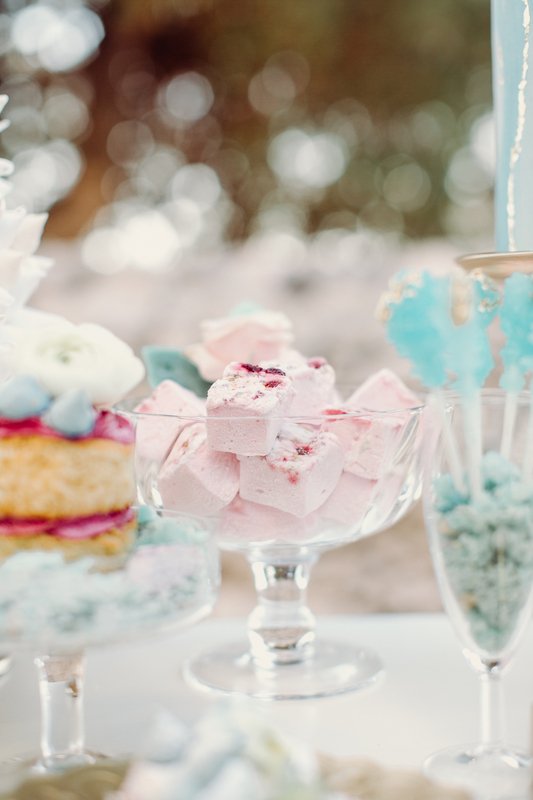 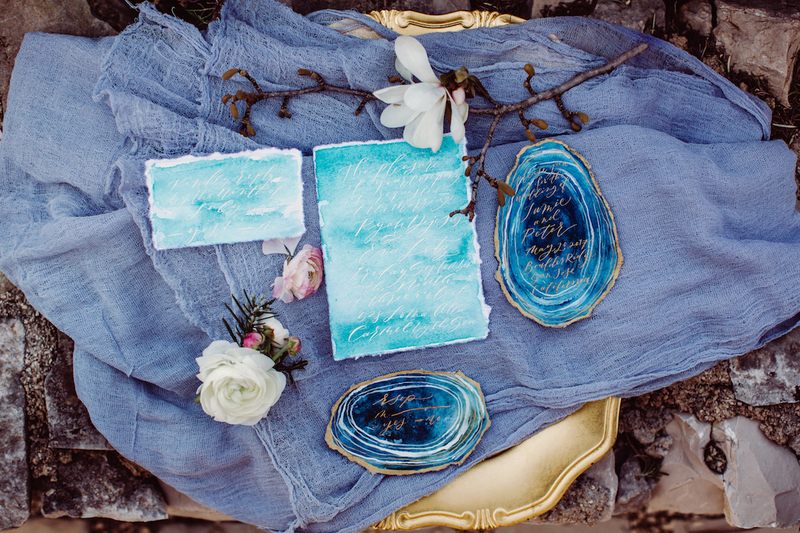 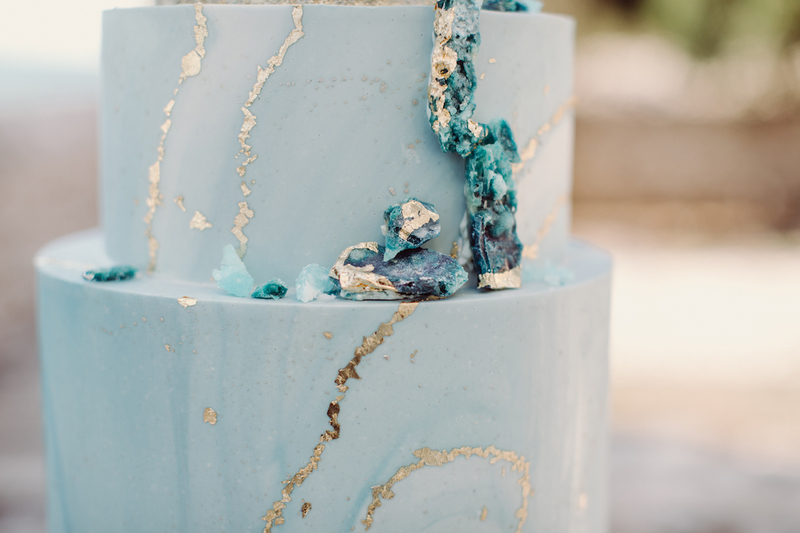 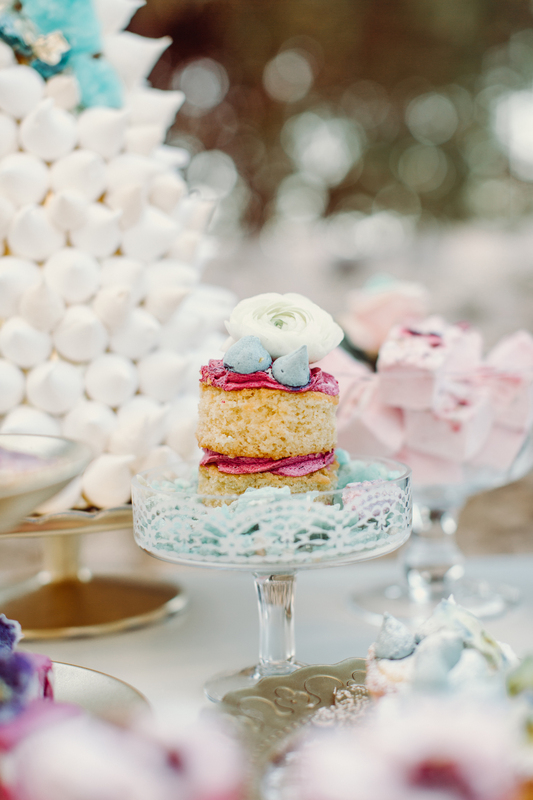 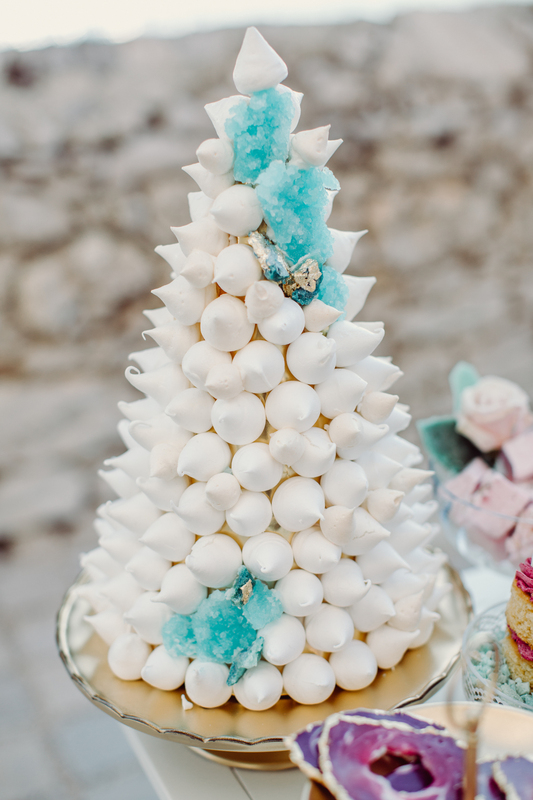 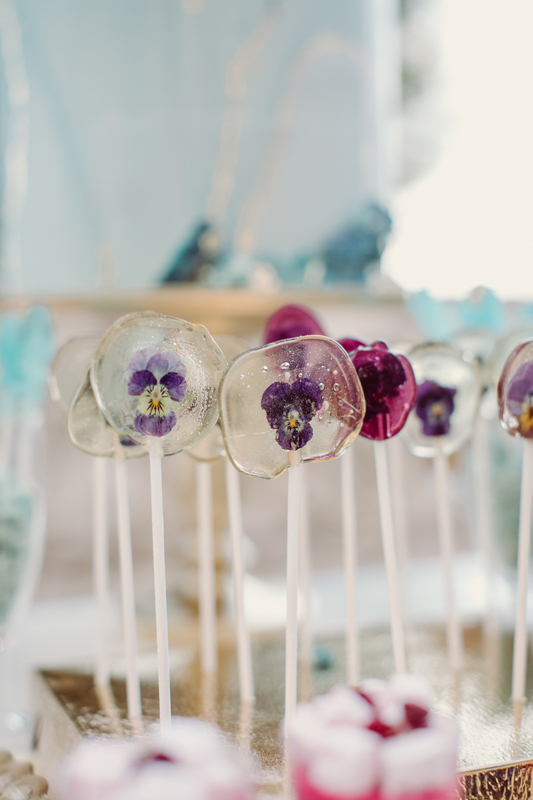 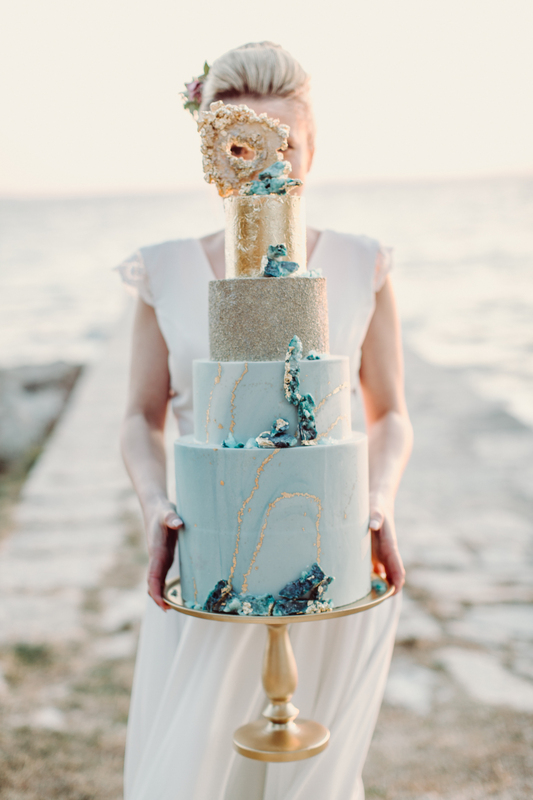 Hints of this ocean blue are carried throughout the details of this wedding concept from the statement wedding cake design by Monika Kos Sweets which has hints of gold and sliced agate details! 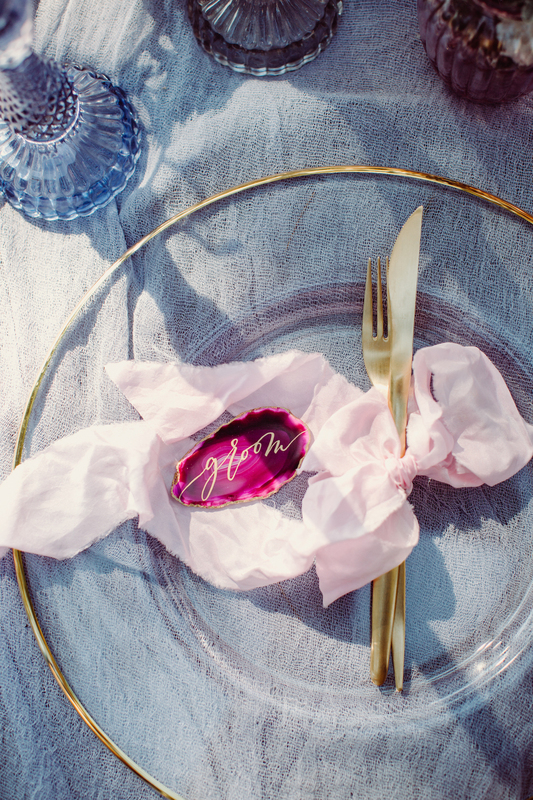 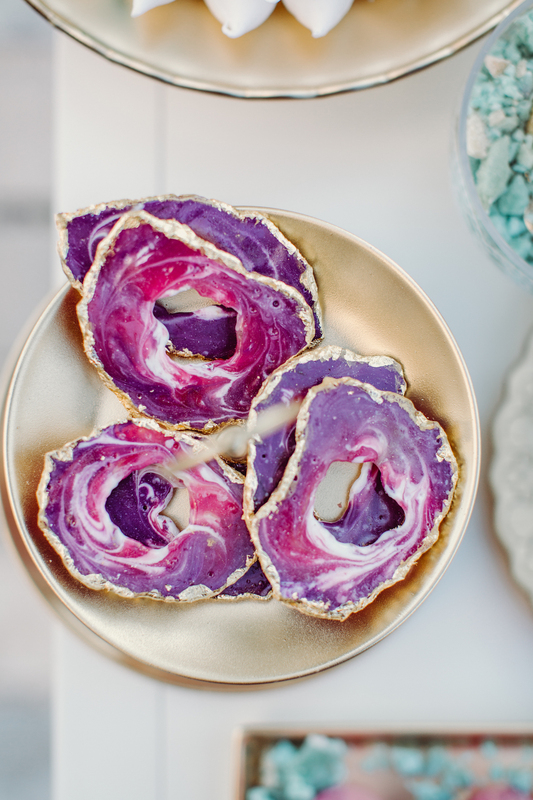 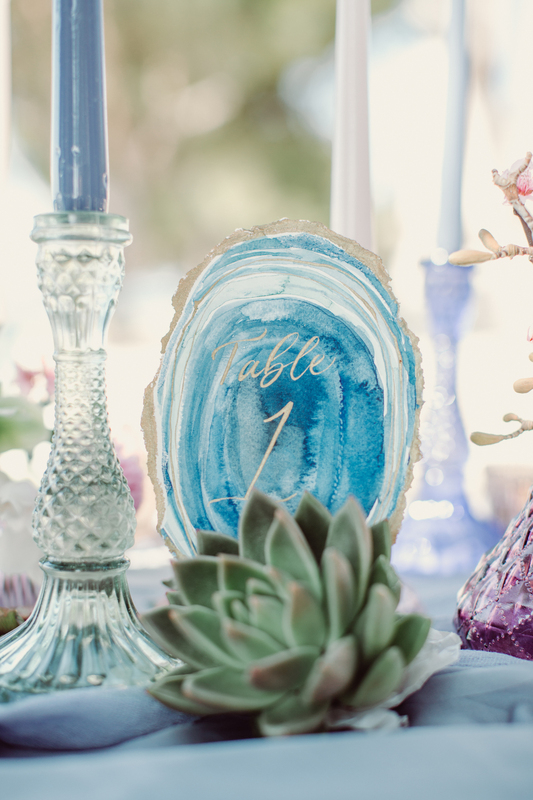 The table decor continues this theme with sliced agate table numbers and place setting names created by Hanwriting.